A Supreme Court bench comprising of Justice Ranjana Gogoi and Justice R.K. Agrawal held that a will can be executed by testator’s wish at any circumstance. The appeals were brought against 2009 common judgment and order of the High Court. The question was regarding the validity and legality of a Will dated 11.1.1982 executed by K.P. Janaki Amma, the mother of the appellants and the first respondent. The Trial Judge by his order dated 23.01.2001 dismissed the probate proceedings instituted by the first respondent by holding that the execution of the Will dated 11.1.1982 is surrounded by a host of suspicious circumstances rendering the same legally unacceptable. The decisions of the Trial Judge, having been overturned by the Division Bench of the High Court by the impugned 2009 order, the appeals were filed. Testator Late Janaki Amma had initially executed a Will dated 28.12.1981 bequeathing house property in Madras in favor of the first respondent Kamala Menon Cochran and her grand-daughter Geetha (daughter of her predeceased daughter Leela). The said Will, contained a recital that the testator had 4 sons. 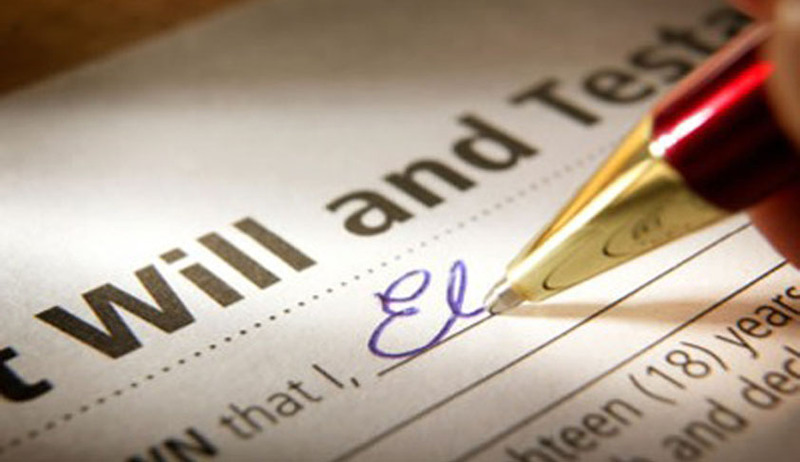 In the Will dated 28.12.1981 the testator had acknowledged that her sons are all well settled in life and had properties purchased in their names during the life time of their father. The testator had further stated that she had suffered extreme bereavement on the death of her daughter Leela which occurred on 02.02.1975 and therefore out of the deep attachment for her grand-daughter, Testator Late Janaki Amma had initially executed a Will dated 28.12.1981 bequeathing the house property in favor of the first respondent Kamala Menon Cochran and her grand-daughter Geetha (daughter of her predeceased daughter Leela). The said Will dated 28.12.1981 was superseded/revoked by a subsequent Will dated 11.1.1982 which contained similar recitals as in the first Will dated 28.12.1981 except for the fact that instead of 4 sons the testator mentioned that she had 5 living sons. After the death of Janaki Amma which occurred on 27.04.1991 the respondent No. 1 had instituted probate proceedings which were later converted into a suit, as the Will was disputed by the sons of the deceased. The appellants who were the defendants in the suit and respondents before the High Court had contested the legal validity of the Will dated 11.1.1982 by asserting that the same was not a valid instrument of conveyance executed on the free volition of the testator; rather it was dictated at the instance of the first respondent-daughter who had exercised undue influence and coercion on the testator. The defendants had led evidence to show that the Will was executed in circumstances which give rise to serious doubts, with regard to its voluntary execution by the testator.